I love all of the different designs that Hotdogcollars offer! This Bandana collar is so cute and looks great on my Jack Russell grand puppy. 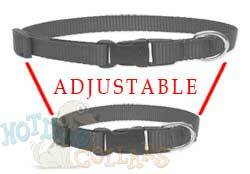 What a nice change from the worn, faded and stretched out harness and collar I've been using on my dog.